Belorussian rhythmic gymnast, Honoured Master of Sports, Bronze medalist of London Olympiad 2012, medalist of World and Europe Rhythmic Gymnastics Championships Liubov Cherkashina passed her prizes to the Museum of the Olympic Glory including World Championship bronze medal, golden medals of European Championship and other memorable awards. 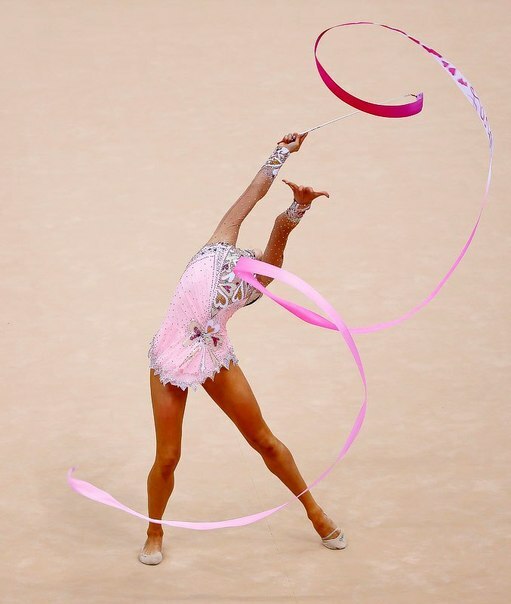 One of the most valuable exhibits is the rhythmic gymnastics leotard in which she won bronze medal at London Olympic Games 2012. “I’d like the children who’ll come to the exhibition to see these prizes and desire to go in for sport, win the medals and step on the international competitions podium”, - said Liubov Charkashina. “I’ve chosen the exhibits for the museum which will be interesting for the visitors. For example, my leotard… Most of the people watched it only on TV, but this is very dainty handiwork. It contains great amount of crystals, spangles, sparkles, stones, patterns, it is valuable not only as an Olympic rarity, it costs nearly 1500$. And when I decided not to sell my lucky London competition costume and pass it to the Museum of the Olympic Glory, head of Team Belarus Irina Leparskaia absolutely supported me, because this means rhythmic gymnastics popularization”. Find your own dress among our skating dresses.